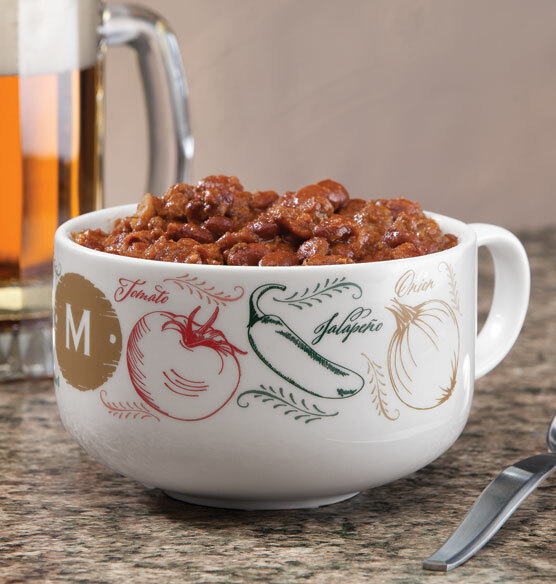 Illustrated images of freshly harvested tomatoes, garlic and other salsa fixings adorn this personalized Farmers Market Salsa chili bowl. The imagery wraps around the whole bowl, so it can be enjoyed from all sides. 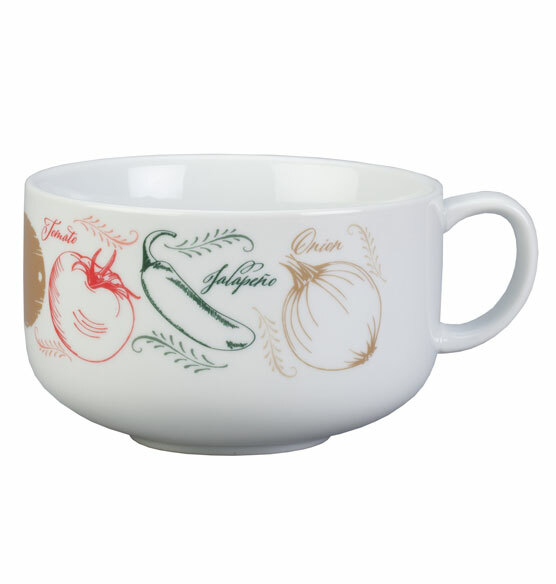 Perfect for enjoying chili and other hearty soups, this ceramic bowl is large and sturdy. Add a single initial to create a one-of-a-kind serving dish.